drawing por akvamarinka. it_is_all_tears_by_akvamarinka. HD Wallpaper and background images in the Ville Valo club tagged: ville valo him fan art. 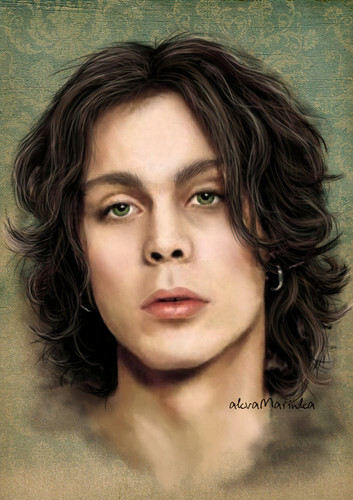 This Ville Valo fan art contains retrato, headshot, close up, and closeup.